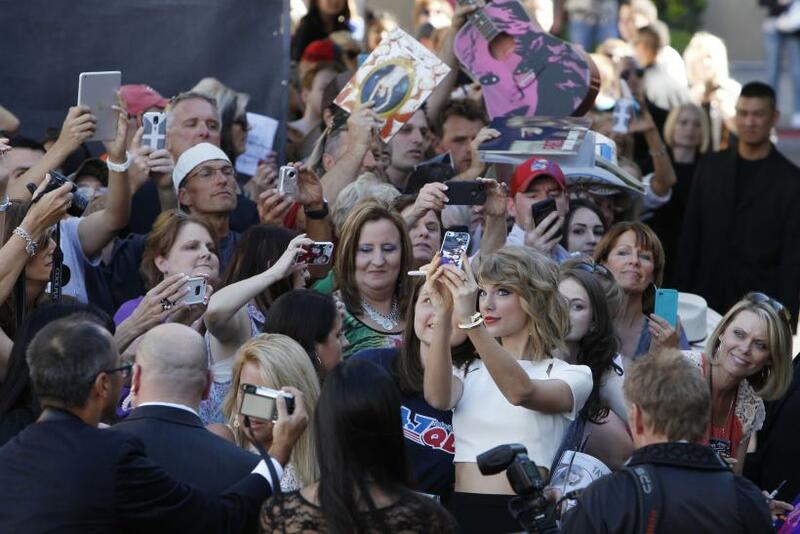 More than other immensely popular American recording artists, Taylor Swift has a tendency to get close to her fans. She’s been known to send them handwritten condolence letters, pay their student loans and offer them trips to New York City. While critics could write off such gestures as part of a well-orchestrated publicity machine, to fans like Jesse and Linsey Rasmussen, they're expressions of genuine generosity. The Kentucky couple Friday announced to the world through social media that they’re expecting their first child, in a way that would make other Swifties envious: by posting an image of themselves with the 25-year-old singer and songwriter as they held up ultrasound pictures. Swift posed with the expectant couple, holding a sign that reads “Baby’s First Concert” during a media event before her June 2 show at the KFC Yum! Center in Louisville, Kentucky. They decided to see if the performer, who's on her "1989" world tour, would participate in their big announcement. "We had the sign and the pictures with us sort of hidden just in case we chickened out,” Jesse Rasmussen told E!. “We were both kind of nervous. Then she walked into the room and just started hugging people. That was the cool thing. She didn't just sort of shake your hand and say ‘hi.’ She comes up and hugs you and thanks you first." The way Swift greeted people emboldened the couple to ask her to help them announce their news to the world. Swift, being Swift, warmly agreed. And that wasn’t all. Weeks later the couple received a handwritten note from the “Shake It Off” performer. A week after thrilling the Rasmussens, Swift was at it again. After finding out that Katy Harris and Chris Eisenmann got married in the parking lot of Philadelphia’s Lincoln Financial Field before Swift’s June 13 concert, the star invited the couple backstage to congratulate them. Sure, it’s likely a member of Swift’s entourage noticed what was happening in the parking lot and saw another opportunity for the singer to earn extra credit from her fan base. But considering the distance so many pop stars put between themselves and the people who make them rich and famous, even die-hard cynics have to appreciate Swift’s loyalty to her base.